Depending of the student's level, I am able to give the appropriate tips and information and customize the lessons for each particular case. My lessons are very dynamic and are oriented to keep the students very motivated. I have been teaching by more than 30 years, and with this experience,and the knowledge accumulated in those years plus my playing experience, I am able to teach my students in a very good way. My lessons will be very dynamic by the interaction with my students, giving them the tools they will need to play in real situations. "Playing, listening, reading, and writing". Always looking forward, never looking back, music is passion and joy. Each lesson consists in six sections that can vary depending on the duration of the lesson. I have one drum set fully equipped, plus cajon and some folkloric drums from Colombia. I have a complete collection of books and videos to support the lessons. I provide my books, metronome, sticks, etc. I loved my first lesson with Rafael. He is great. im 23, been playing drums for 14 years,I had different teachers all growing up, but I realized that I had no real good knowledge of theory and '' why things works''. iI've been taking classes with Rafael Leal for six months. During these six months there has been a lot of progress with the knowledge of music theory and my drums skills. There are a lot of music teachers out there, but Rafael's combination of knowledge and skills can not only craft you into a great drummer, but a great musician as well!I highly recommend you contact Rafael leal and pursue taking your music education to a new level. All styles/levels. Lessons are designed to meet YOUR needs. Teaching Experience - USA Music School: 10/11 - 4/12, Sylvan Academy of Music: 1/05 - 12/10 & 1/13, Musika: 10/03 - 5/06, Woodside Music Studio: 9/97 - present, RE Drum Instruction: 4/79 - present. Private Drum Lessons: Joe Morello, 2/82 - 5/83, Sonny Igoe: 7/77 - 9/80. Drummer's Collective Fusion Workshop: 4/82 - 7/82, Ramapo College Jazz Workshop: 7/79. Lessons are strictly designed to meet your needs as a musician. Focus will be on technique, reading, playing different styles & learning songs. Your feedback is just as important! Hopefully the student has a drum set at home. I can supply a practice pad, sticks, etc. Rock, funk, top 40, blues, jazz, country, reggae, Latin. As a percussionist, I play a lot of different drums. Let me know what you're interested in learning and I will teach you! David is a Juilliard-trained percussionist and timpanist available for in-studio and in-home lessons in the New York City area. An experienced performer and teacher, he brings an exciting and collaborative approach to lessons with students of all ages. Very professional, organize materials according to your level and needs. best teacher. My 9-year-old son, Luke, who is on the spectrum (PDD-NOS) studied with David for the better part of a year and the experience was terrific. In addition to being extremely communicative and reliable, David was kind and patient. David kept Luke focused and entertained while also inviting him to think about rhythm in ways that made sense to Luke's brain. We happily traveled from Inwood to "Downtown Brooklyn" for lessons because the level of instruction was that good and, I think, Luke's progress demonstrates that. Luke was bitten by the hockey bug, so we are taking a break from percussion right now, but I wouldn't hesitate to return to David's studio should time allow in the future. Learning drums is extremely fun and satisfying! It involves the entire body and the mind, challenging in many different ways and extremely rewarding. While it can be demanding to learn an instrument, it can be as easy as you want it to be. Our lessons can be designed to fit your personal goal. In the lessons we will play songs, study technique and reading and learn different genres of music - all while having fun! I have always been in love with music. Since I was a kid, listening to 90s Rock and Pop music, through my teenage years listening to 60s Rock, Progressive Rock and Jazz and up to today - listening and playing practically anything. The drums have always attracted me, so I started playing when I was 12 years old. The first album I've recorded with my friends came out when I was 16, and was heavily influenced by Prog Rock music. Around the same time, I started listening to Jazz which became my passion in music and life. I went on to study in an arts high-school, and later went to Berklee College of Music, from which I've graduated with a Masters degree in music performance and production and sound engineering. extremely important values. I am proud to say some of my students have already made impressive musical achievements, some have begun studying in Berklee themselves (with impressive scholarships) and all of them are having fun playing drums. Noam is a fantastic teacher! I had a great time learning with him. He was very patient, creative and supportive. We studied different genres of music and went through rhythms from all around the world - it was so interesting. Noam was always very punctual and super professional. Highly recommended! Well, there are a lot of good things to say about my time studying with Noam. He was always very versatile with teaching different genres and how to play each and every one of them (in dynamic ways, styles, independence wise and etc.) He helped me so much master my own craft. He also taught me how to read music and to think musically as a drummer and a side man, when I'm playing with a band, and even as a solo player. He would always make sure I was at my best when I showed him each new assignment that he gave me, and he always encouraged me to be at my best. He knows how to unlock potential in his students, and teach them how to build up that same potential. Even after all of this, He was always down to earth, generous, a one of kind soul and a loving teacher, and I always looked up to him and till this day, I see him as one of my mentors. I really wish I could learn more from him, if I wasn't in a far away country. as awesome! I have a little electronic kit that we hooked up to my computer! I’m so happy I booked Chris! Chris is an awesome teacher and knowledgeable about everything having to do with music and theory! He even hooked me up with some theory and keyboard techniques that just opened me right up! On top of that, he’s played with a couple bands that I love! I’m excited for our next lesson on an actual drum kit!" 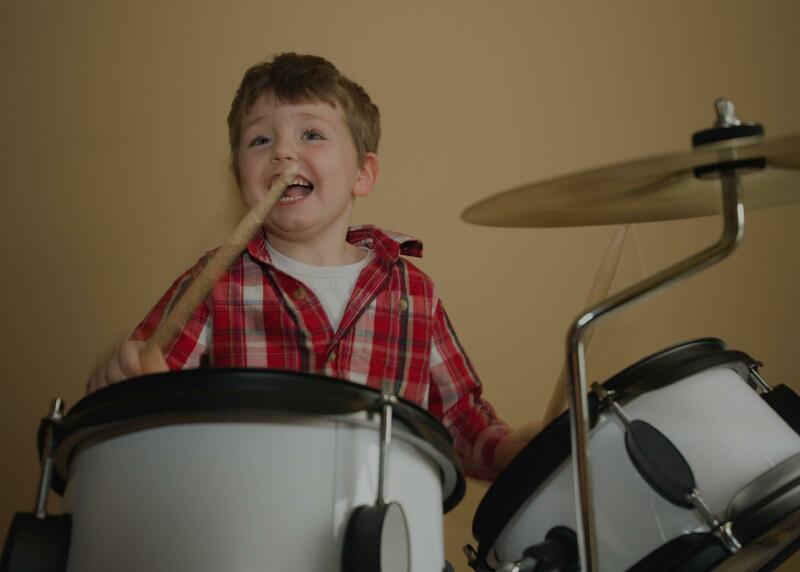 New York, NY teacher: Christopher H.
"Ohh my drumming made easy. Best teacher ever, I have recommend him to many. Thanks"
New York, NY teacher: Harvey D.
New York, NY teacher: James S.
urns messages. I highly recommend him!" way. Personality-wise, he is that happy medium somewhere between Mr. Rogers and J.K. Simmons in Whiplash. I studied with David during my college years and 7+ years later I still utilize his concepts in everyday practice. There are many specific stories, ideas and exercises of his that have always stuck with me and come up quite often when I am working on something new or teaching a lesson or class of my own. Whether we were learning orchestral excerpts, 4-way independence, Bach fugues or just playing quarter notes with the metronome, I always left our lessons feeling highly motivated and anxious to practice. It's also great to have a teacher that can blow your mind with his own playing. It might be difficult for some teachers to get students into something like the tambourine or triangle but when he picked one up and casually played some insane rhythms and advanced techniques I was immediately inspired to learn to do the same. Not to mention his drum work on Matt Herskowitz's "Forget Me Not" - some of the things he does on that record still keep me up at night. I'm very grateful for my time as a student of David's and glad I can still learn from him as a friend and colleague!" "Kolja is patient, amazing and fun teacher. I learned so much from him. s. Russell can play any drum style (rock, jazz, blues, progressive etc) and has a calm and confident demeanor. I would hire him again.... and do." New York, NY teacher: Russell H.